Who’s ready for a little luck this year? As we get ready to celebrate St. Patrick’s Day in 2017, I can’t help but smile to embrace the number 7 this year. 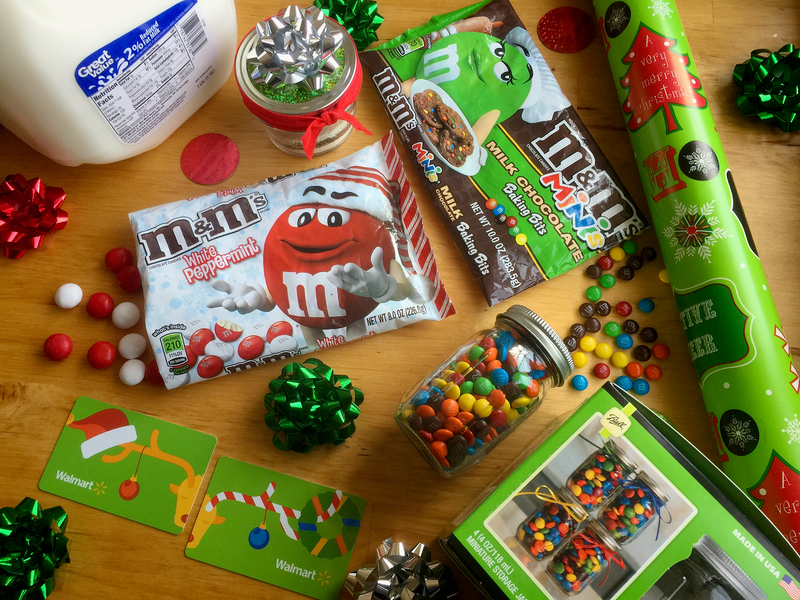 And what better way than to just add 7UP® to our holiday celebrations. 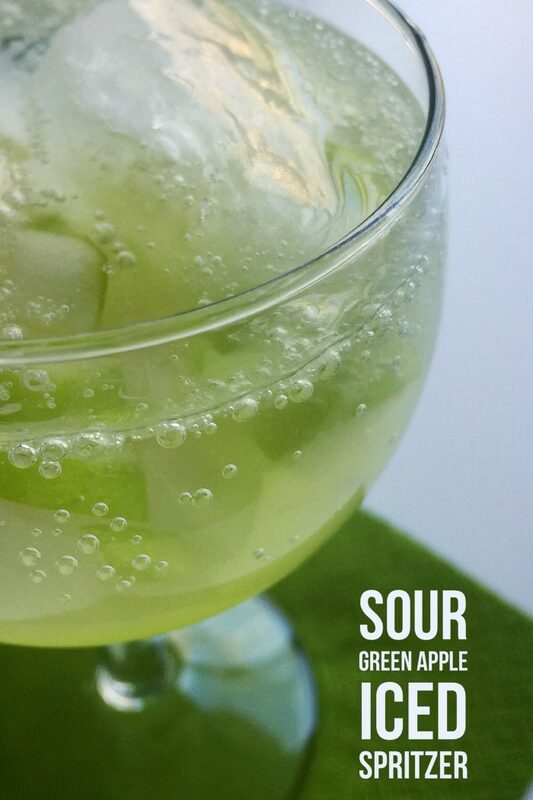 That said, get ready to see a great sour apple spritzer that the whole family can enjoy! And that starts with a lively libation that was created to keep the punch in the bowl. All while still helping you pucker up for toasting all things social this March. In fact, this non-alcoholic refreshment may just make you smile brighter than Shirley Temple! Once home, I gathered up all my goodies to get started. Because what I like to do, is create 7UP ice cubes for my drink. This way my St. Patrick’s Day mocktail stays cold (and full of flavor) without getting watered down. 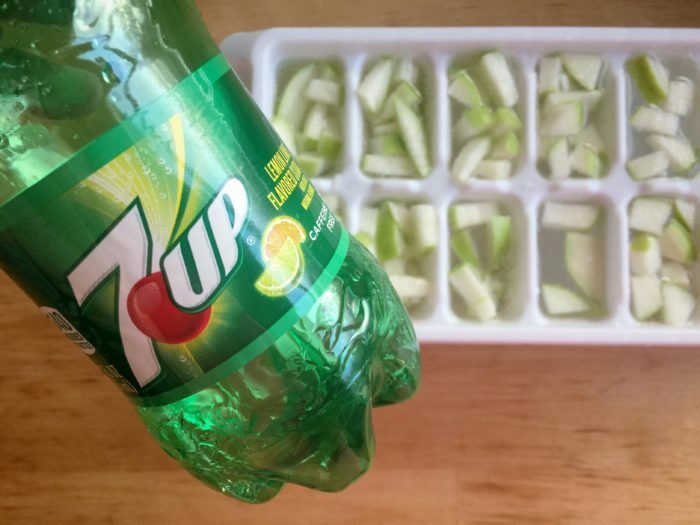 I have found, that 12oz of 7UP fills one ice cube tray (which is also why I prefer using this single serving size). If you find any is left over, the bottle allows you to save it for later. What you’ll also see, is this is where I added a freshly diced small green apple. Fill the compartments with fruit, then top each compartment with 7UP soda. You’ll pop that ice cube tray in the freezer and go on about your day. 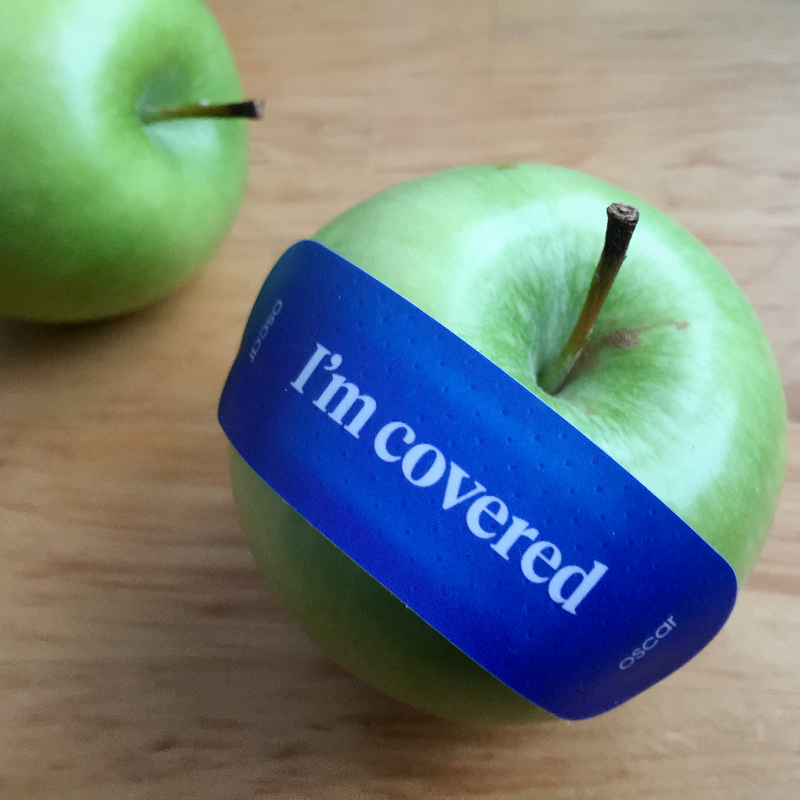 When the soda and fruit have had time to harden, you’re ready to get this party started! For my drink, I’ll be repurposing a 5oz stemmed wine glass. I also rely on a small 2oz measuring cup to measure my drink properly. 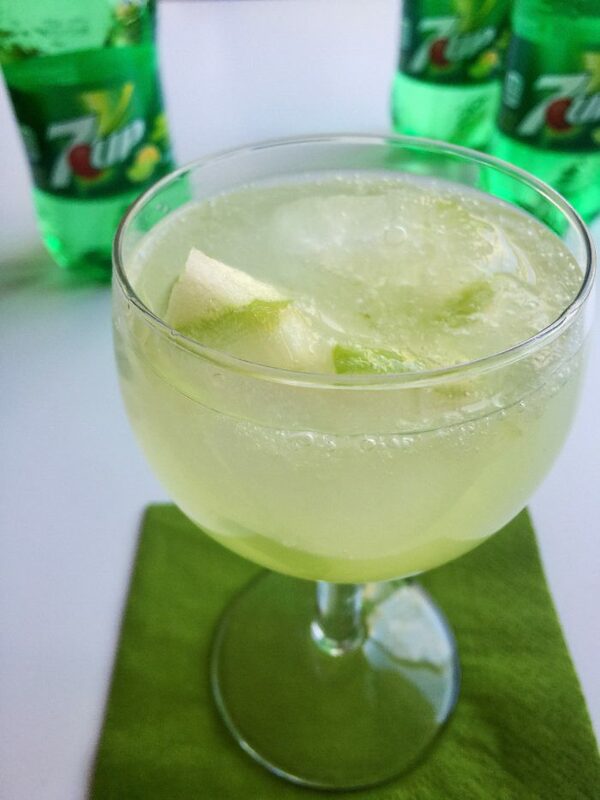 First, fill your glass with 7UP green apple ice. Then pour in 2 oz limeade. Followed by 1oz sweet and sour mix. 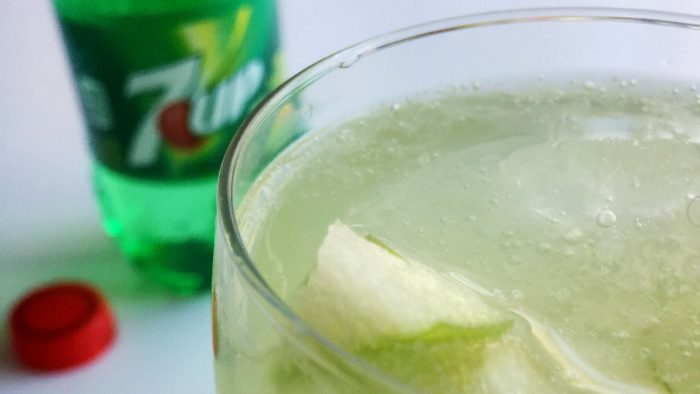 Slowly top your glass with 7UP lemon-lime flavored soda. 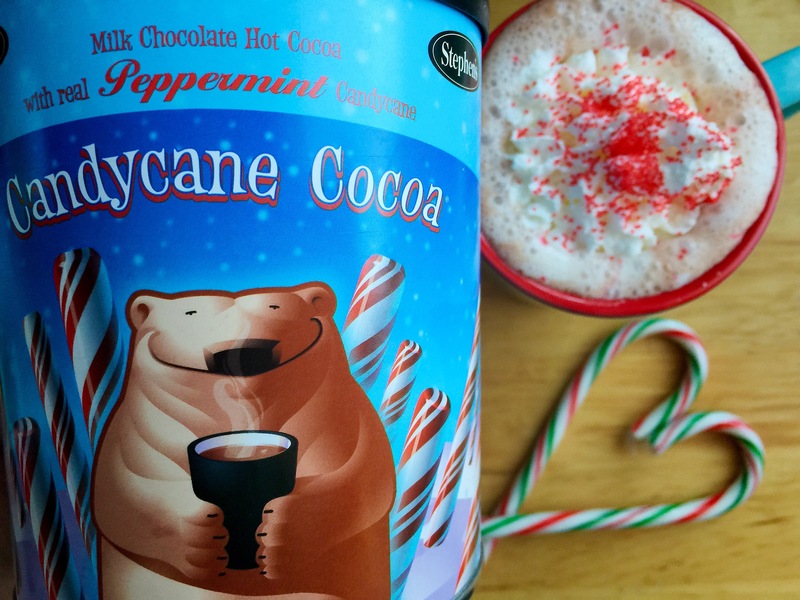 Not only is this a great tasting non-alcoholic option for all ages. But it also tastes great when you mix it up for adults with a flavored sour green apple vodka. Just replace the sweet and sour mix for 1oz vodka. 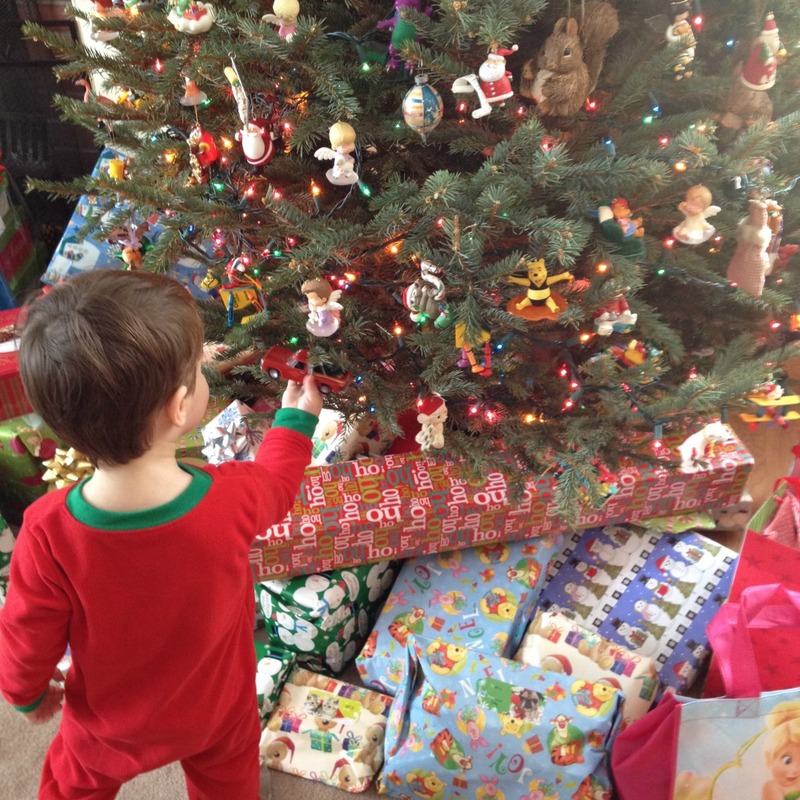 And with that, you’re ready for all the March madness the holidays and sports schedules can bring! 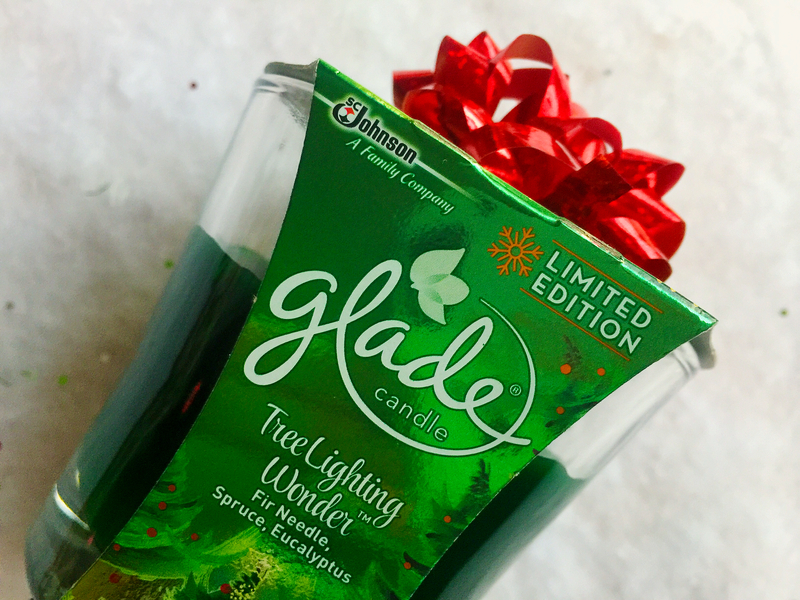 Let me know what you think of this great tasting (and versatile) refresher. 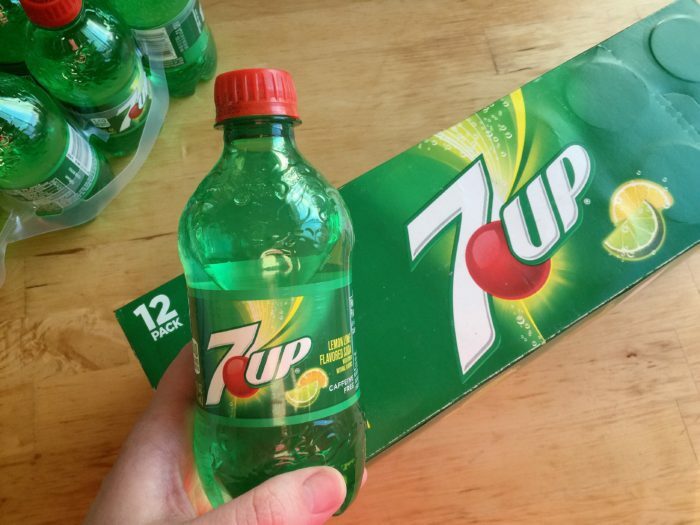 And if you post your 7UP drink on social media, be sure to tag me (@roastedbeanz). 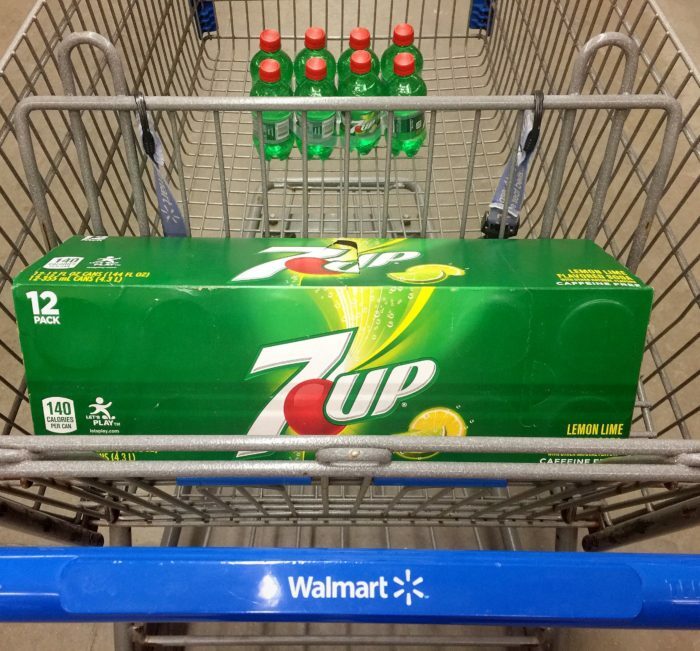 Use the hashtag #JustAdd7UP and join me to show how we love to mix it up with this classic celebratory staple! 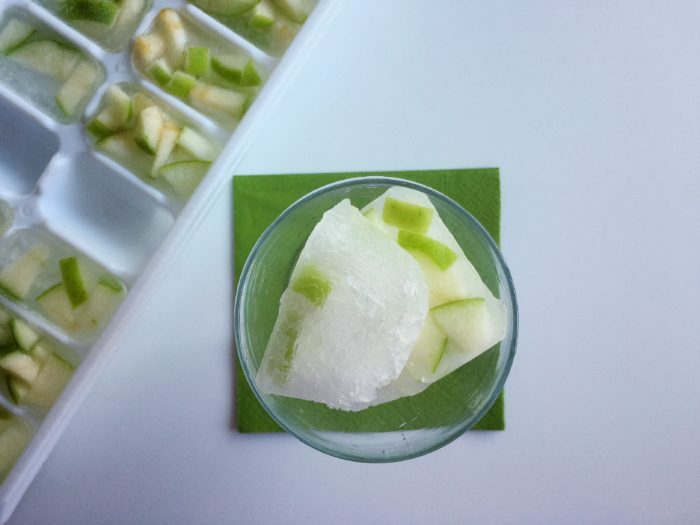 Dice one small green apple and fill compartments of ice cube tray. Place ice cube tray in freezer until soda and fruit are hardened. 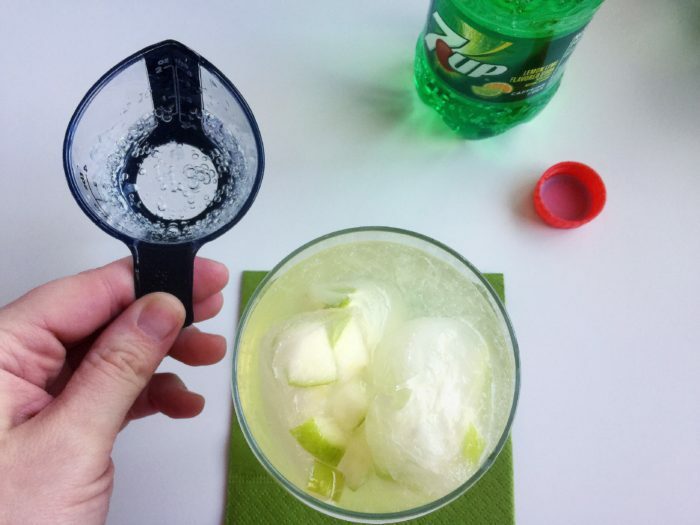 Fill 5oz glass with 7UP green apple ice. 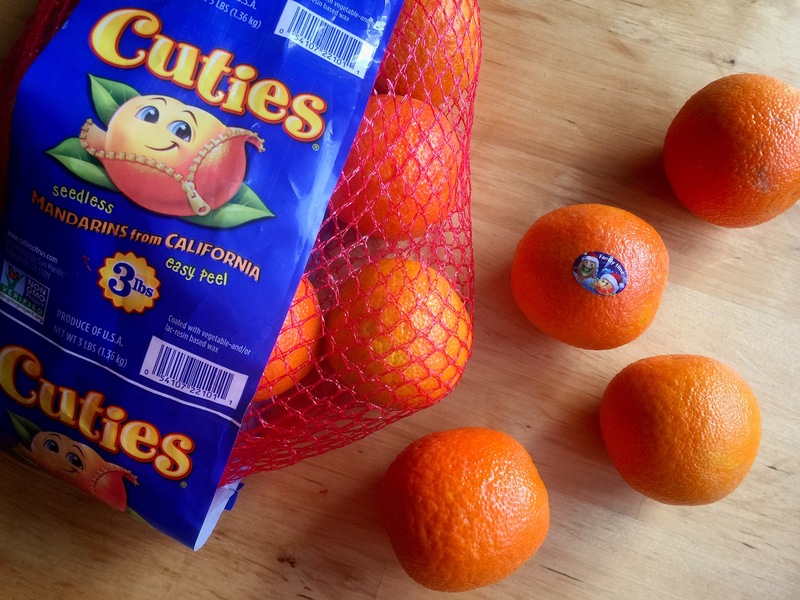 Add 1oz Sweet & Sour Mix. Top glass with up to 2oz of 7UP lemon lime soda. Note: For a more adult beverage, replace the sweet and sour mix with 1oz sours green apple vodka.